For Polo Park Realty, community is everything, and our commitment is to always make a difference in our community. Here you will find helpful links and resources. If you want to post an event here, send us an email and we’ll post it here for you! Once you get to Palm Beach County, you can’t help notice the tropical foliage. It was in the 1880’s that a boat load of coconuts washed ashore when a schooner sank offshore during a storm. It wasn’t long before the coconuts were sprouting and palm trees populated the shore line. As settlers moved into the area, it was the palm trees that they planted, everywhere. The area was originally part of Dade County and when it broke away to form a separate county it was natural to call it Palm Beach County. Over the years, the native foliage was up-rooted as communities were developed. With horticulture demanding creative landscaping and manicured lawns, the palm trees were preferred and to a great extent, the native foliage and trees were sacrificed. However, all is not lost. If you travel down to the center of the county and go west from Palm Beach approximately a half hour, you will see the welcome signs for Wellington. You can’t help notice that there is something different about the countryside. The first thing you notice as you enter Wellington, is the tall beautiful pine trees. These are South Florida’s own Slash Pine. The pine tree plays such an important role in the overall image of Wellington, that it has been incorporated in the Village of Wellington logo. They are also on the signs at most community entrances and in real life, they grace the scenery. When you can smell the pine scent, you know you are home. The beauty of living in Wellington is that you are close enough to the beaches, major shopping areas, employment opportunities, local attractions, arts and activities in the area. However, it is the friendly people, convenient shopping, community activities and neighborhood schools that make it easy to stay in Wellington if that is your desire. For some it is the recreational activities or the equestrian lifestyle such as polo, jumping or dressage, or landing their plane next to home that attracts them to Wellington. For others, the appeal is more practical – a place to work, to raise a family or to retire. Over Sixty years ago less than one hundred people lived on this land. In the early 1950s, most of the land in the area was owned by C. Oliver Wellington. He purchased the large tract of land as an investment and named his property the Flying COW Ranch, using his initials. Wellington was a Harvard graduate, with a successful advertising business in New York City. As city folks, the Wellington Family found quite a cultural shock while roughing it whenever they vacationed at the ranch. Because the land was frequently water-logged, the State of Florida saw a need to provide drainage for flood control and to make the land suitable for agricultural purposes. In 1953, they created a special district called the Acme Improvement District. Parcels of lands were either sold or leased to farmers over a period of time. The land was turned to farming. There once were over 2,000 acres of strawberry fields in the area, laying claim to the world’s largest patch of strawberries. In addition, it was discovered that citrus groves thrived in the area. In 1953, though it was proved that the lands that were once water-logged had the capability of great productivity, fewer than 100 people resided in the area. Westward expansion was inevitable with the influx of new residents to Palm Beach County, and James Nall with the Investment Corporation of Florida was instrumental in the development of the planned community that ensued. It was in the early 70’s that Wellington began to take shape as one of the most unique and interesting communities in South Florida. 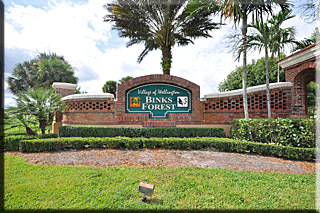 As more and more people started discovering this “best kept secret” of Florida and experiencing the beauty of the area, Wellington became one of the fastest growing areas in Florida. Since those days, Wellington has witnessed growth with much diversity and great amenities, all culminating in a lifestyle like no other. Over the years, with its growth, the community became more residential, and services were expanded to include roadway maintenance, landscaping, parks (22 in all), recreational activities and water & sewer services. Wellington has earned public acclaim and much interest by developers. 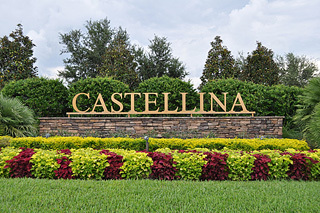 In 1995 A New Village Is Born… Wellington is a planned community of over 18,000 acres, making it the seventh largest city in Palm Beach County. Incorporated in 1995, it became the Village of Wellington. It is governed by an elected-at-large council of five persons and the same five council members serve as the Acme Board of Supervisors. The Village of Wellington is located at the gateway to one of the nation’s largest agricultural areas to the west, and the coastal communities of the Palm Beaches to the east. Wellington enjoys one of the most convenient locations in Palm Beach County, while still maintaining the ambiance and friendliness of a peaceful small town. Wellington offers a great deal of diversity in neighborhoods and housing options. Housing is available in a wide range of price, from condos and townhouses, to elegant single family homes and stately estates. The population is approximately 50,000 and the average household income is approximately $70,000. Wellington is home to the world famous Palm Beach Polo and Equestrian Club, with a full winter polo season and equestrian activities at Stadium Jumping, one the world’s premiere equestrian facilities. The southern part of the Village is comprised of mostly horse farms, nurseries, agriculture and equestrian related uses. 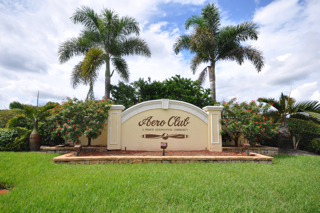 A private airport community, the Aero Club, is located in the western portion, providing small plane owners with a landing strip practically in their back yards. The Village offers eight churches, encompassing most major denominations. It has six schools, including, Wellington Elementary, New Horizons Elementary, Panther Run Elementary, Wellington Landings Middle School, Polo Park Middle School, and two high schools, Wellington High, and Palm Beach Central. Residents and visitors can patronize one of the five shopping centers, movie theaters, a branch of the Palm Beach County Library and numerous fine restaurants. Two major hospitals are located just outside the Wellington borders. Other notable features include bike and jogging trails, neighborhood and community parks, a recently dedicated Village Park and recreation center, a centerpiece lake, numerous golf courses and country clubs, tennis courts and a skate park. Wellington offers country club living: golf, tennis, swimming, physical fitness and equestrian facilities. There are activities for young and old, civic and social organizations for every interest. There is a Boys and Girls Club, supervised youth baseball, soccer and swimming programs. Boating, sculling, fishing and sailing can be enjoyed on scenic Lake Wellington. Wellington…..a great place to live and do business. Looking to buy, sell or relocate into or out of the Wellington area or the Western Communities? Contact us at Polo Park Realty and we can answer all your questions or help you make a smooth transition as you move to the next chapter in your life. Here you will find a wealth of resources for growing and enhancing your entrepreneurial and business pursuits. Click on the link below to access the official website resource for all things Wellington! From city resources to events and concerts, to Planning and Zoning, it's all here.